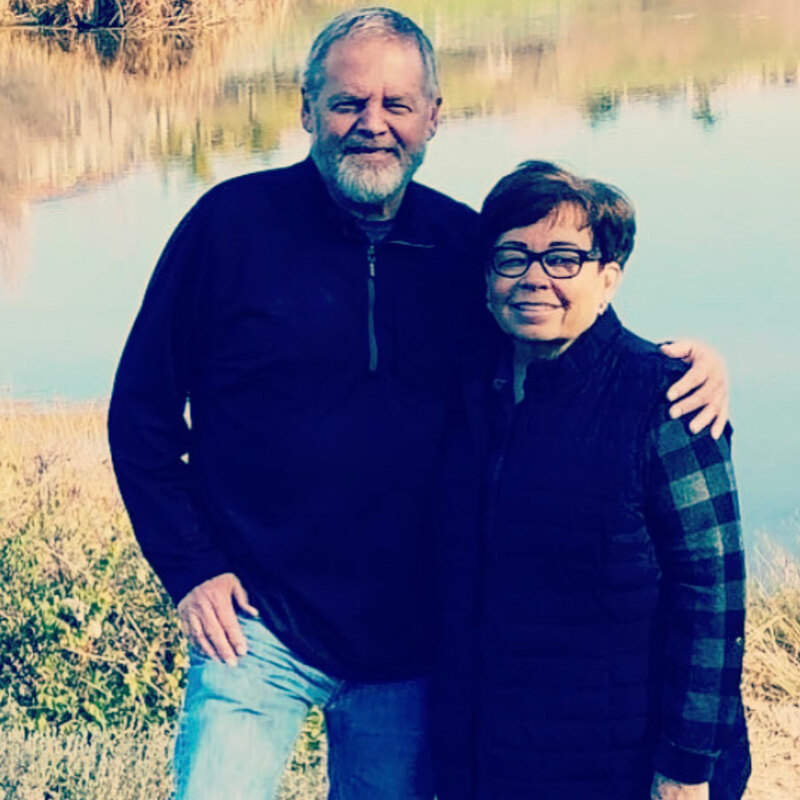 We are located in the heart of Northern California and nestled in the foot of the picturesque Sutter Buttes. We are located in the Yuba City and Marysville area which lies right in the middle of two very popular California cities….Sacramento and Chico. We are also within close proximity to the San Francisco/Bay Area. While we literally have puppies placed in every state (as well as other countries), we love being able to serve our beautiful state of California bringing our awesome #sblalumni and #smdoodlealumni puppies to the Sacramento Valley, Roseville, Rocklin, Lincoln, Chico, San Francisco, Oakland, Lafayette, Tahoe, Mammoth Lakes and Los Angeles areas to name several. We are in close proximity to Sacramento International Airport. In addition, we have added a second branch to the Phoenix, Arizona area. We are now happy to serve our clients in the Southwest. Arizona is one of the “Four Corners” states. Having a location here allows us to better serve the surrounding states of New Mexico, Utah, Nevada, Colorado and even Mexico! The new location is 15 minutes away from Phoenix Sky Harbor International Airport (known as America’s Friendliest Airport). It is an easy destination for clients to come in to pick up their new family member. We are very excited about this new endeavor! We have a great team that works together for your benefit! Brandi, the founder of both SBL|SMD, works all hours of the day answering emails and texts from our clients. She sets into motion which breedings will be planned for the year and manages all client relations. She also oversees the social media aspect of our program. Allie has been working with SBL|SMD since 2013 and has been a business partner since 2016. Allie oversees all SBL|SMD breedings, organizes puppy deliveries, manages the guardian program and is in charge of SBL puppy pick up days. 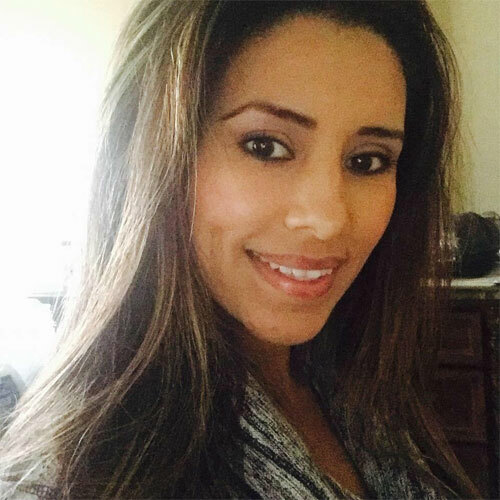 Lorena is another one of our amazing team members! She has been working with SBL since 2016 and has taken on a more extensive roll within the SBL|SMD program. 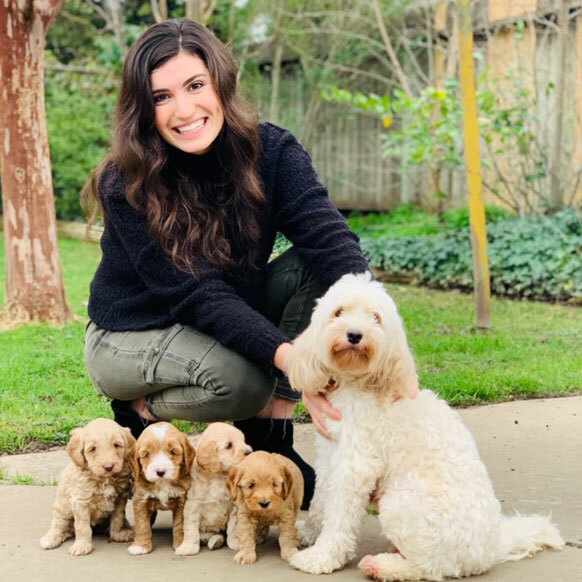 With our Bernedoodle program, she oversees many of the breedings, organizes puppy deliveries, manages the guardian program and is in charge of SBL|SMD puppy pick up days. Abbie is another key team member in our SMD program! Coming on in 2018, Abbie will manage several of our breedings, deliver and raise litters for us in 2019 and beyond. Sister to Allie, Abbie has a lot of first hand knowledge and experience under her belt already. She will also work with families on our infamous Gotcha Days when families pick up theirs new additions. Shari is another SBL|SMD team member who we love and adore! 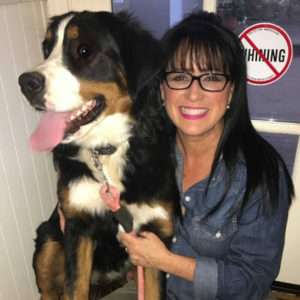 She has several years of experience in delivering and raising amazing puppies! 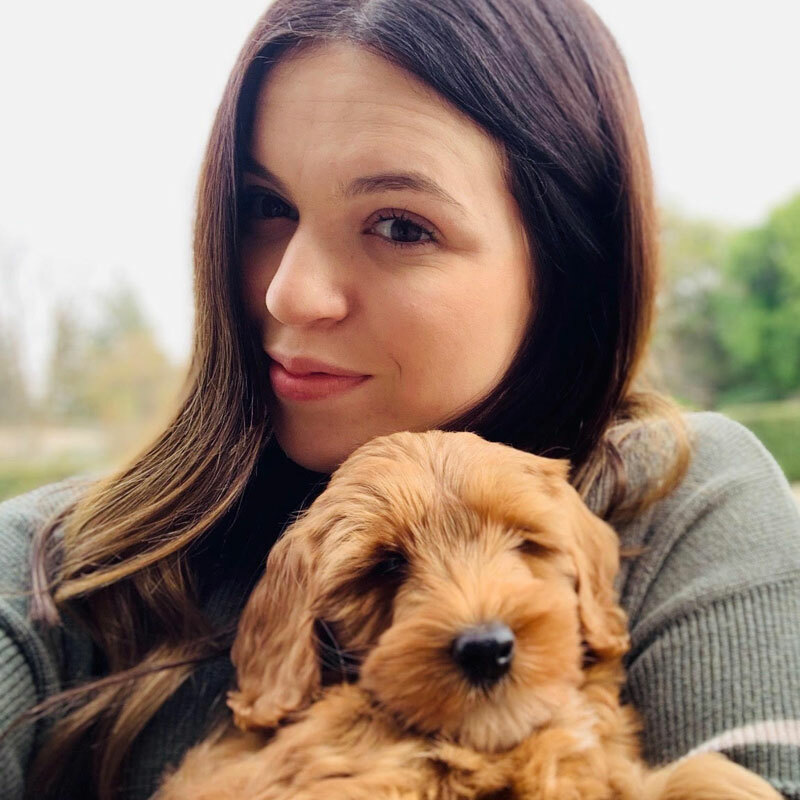 She is a big part of the SBL|SMD program and will deliver and raise litters as well as work with families on Gotcha Days when families come to pick out their new doodle pup! Shannon is our litter coordinator and office manager and quite frankly, she is the best! Shannon takes on all new inquiries and leads them in the right direction as far as helping new families decide which litter may be best suited for them. She is always available for a call, text or email and works endlessly making sure everyone feels well taken care of. Customer service is her strong suit! She is a people person and everyone who gives feedback on her just adores her! She has been well trained in the doodle world because she also happens to be Brandi’s mom. We also work with many outstanding guardian families within our program. We choose never to be a kennel based program and instead choose to have all of our breeding dogs living with qualified families throughout California and Arizona. Our handpicked guardian families are simply amazing and a huge part of our team. We are grateful for them and their devotion to our program! 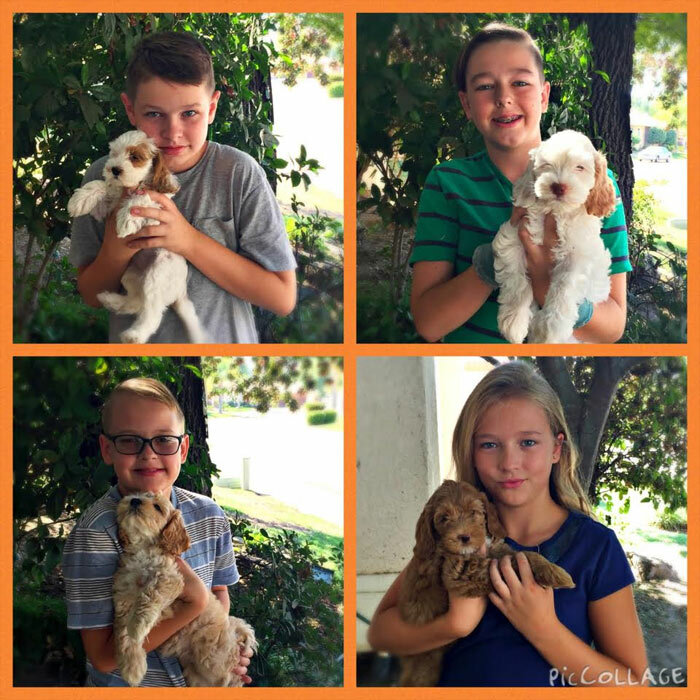 At Sutter Buttes Labradoodles & South Mountain Doodles we have a strong sense of commitment to our breeding program. The welfare of our dogs and puppies is of the utmost importance to us. We strive to be open to the standards and improvements within the breeds. We are excited that the offspring of our dogs will aid in the broadening of the doodle gene pool! All of our breeding dogs come from quality lines with excellent pedigrees. We put great time and effort into selecting our breeding stock to produce the temperaments and coats that we wish to pass along to our upcoming litters. Our dogs receive non-stop attention and affection and come to you kid tested and approved! We have many children which do a wonderful job as “puppy socializers”. We are constantly amazed at the playful, yet gentle nature of these beloved dogs. Our kids love to play with our dogs and the dogs love to play with them. It is hard to tell which group loves the playful interaction the most. Temperament in the dogs we breed will always be a top consideration as we only wish to produce loving and playful doodles, true to their nature. With this in mind, you can rest assured that at Sutter Buttes Labradoodles & South Mountain Doodles, we are always attentive in our breeding so that we can provide to you the best quality Doodles in every sense of the term. The Huffmaster Puppy Socialization Team. What got us interested in Doodles?? The answer to that question is very easy. We had a black Labrador Retriever which we adored. She was a housedog and a huge part of our family – royalty in our book. 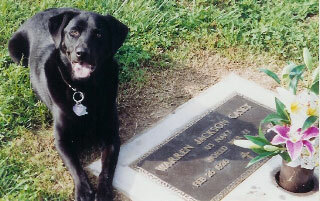 Reba was very special to us because she came to us at three years of age when my grandfather passed away. She was his dog and she treasured my grandfather. He trained her at 5 months of age to retrieve anything he needed…(remote control, hats, keys, tools, soda cans, wallet…etc.). She could do every trick in the book by 6 months of age. He took great pride in her ability to learn several tricks a day, and she loved to please him. We were honored to take her into our home and she quickly realized we were going to spoil her like crazy. The only negative I could EVER say about Reba is that she shed … and her hair was everywhere! We all have allergy problems and the shedding did not help! As she got older we often thought about getting another lab, but the thought of all that dog hair made us question it. Then one day I was reading Fortune Magazine and came across an article about Labradoodles that I found very intriguing. 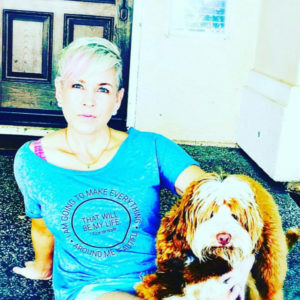 Shortly thereafter I saw the delightful dogs romping around on the set of the Today Show – It was then I became hooked and knew that I had to get my hands on one of these fabulous creatures! How wonderful…dogs with the temperaments and sweetness of a Labrador and the intelligence and allergy-friendly (no-to-low shedding) coats of a Poodle! That is why we started Sutter Buttes Labradoodles & South Mountain Doodles.